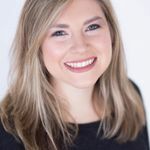 If you’re planning a rehearsal dinner in Jacksonville, Florida, then you definitely should check out these top venues. 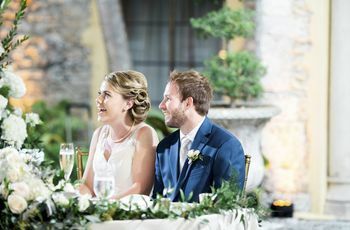 The rehearsal dinner is essentially the party before the party, so it’s key to find the right setting to help kickstart the wedding festivities. 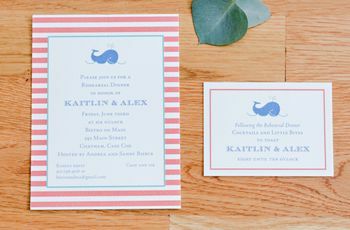 If you’re not sure where to hold the special event in Jacksonville, Florida, we’re here to help! 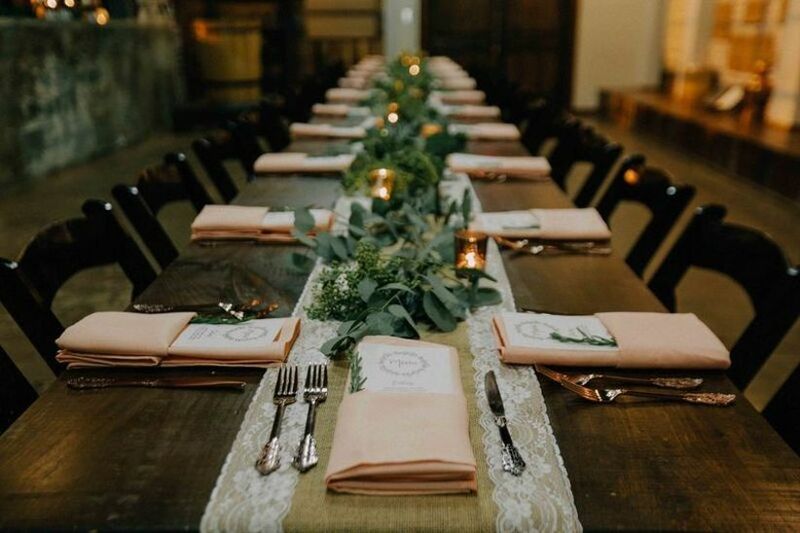 Whether you’re looking for a beachy venue to fit the couple’s laid-back Florida style or hope to find a chic restaurant that’s ideal for an intimate dinner, Jacksonville is filled with rehearsal dinner options. These venues are perfect for hosting a rehearsal dinner in Jacksonville, Florida. This restaurant is nestled right in Jacksonville’s historic San Marco district and is a perfect pick for a rehearsal dinner in Jacksonville—especially if you love French cuisine! Bistro Aix (which is named after a town in the South of France), creates an intimate setting for rehearsal dinners. 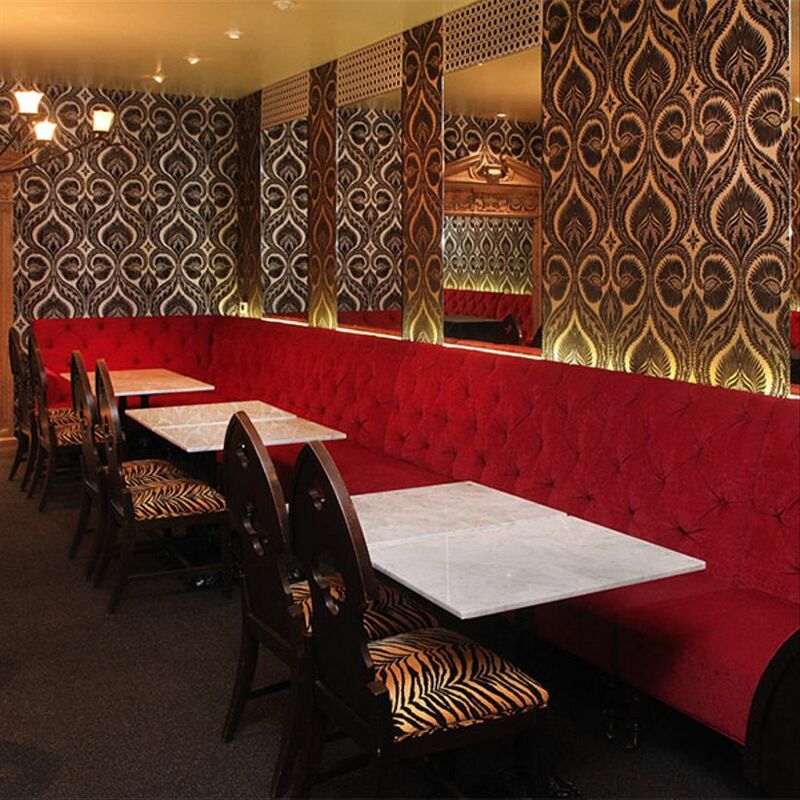 The restaurant offers an exclusive private dining area that features luxe red booths and ritzy decor—making it a fab pick for mixing and mingling with the wedding party, close family members and more. Matthew’s is a fine dining restaurant that makes an excellent setting for an elegant rehearsal dinner in Jacksonville, Florida. The contemporary restaurant has been in business for over 20 years and is known for its impressive wine list, Mediterranean-Inspired dishes and excellent service. Matthew’s provides two different dining spaces to rent and both rooms are decorated with simple and clean decor. The Wine Room, the largest of the two spaces, can seat up to 60 guests for a sit-down dinner and up to 75 guest for a cocktail-style event. The second space is the Loft, which can host up to 16 guests for a formal seated dinner. Each private dining room offers customizable menu options, so you can pick and choose which of the restaurant’s dishes you’d like to serve at the rehearsal dinner. While this locale is just outside of Jacksonville in St. Augustine, it’s still a great choice for hosting a Florida rehearsal dinner. 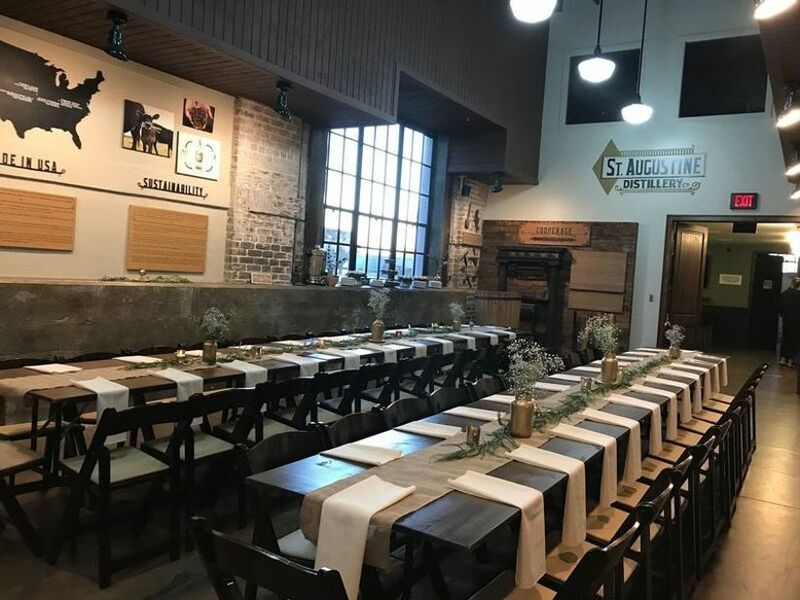 St. Augustine Distillery evokes a rustic setting for events—especially for a rehearsal dinner! The distillery is actually a renovated commercial ice plant from the early 20th century that has several spaces to book for an event. The Museum and Theater can easily accommodate up to 60 guest for a sit down dinner whereas the Tasting Room is better for a smaller cocktail-style rehearsal dinner. 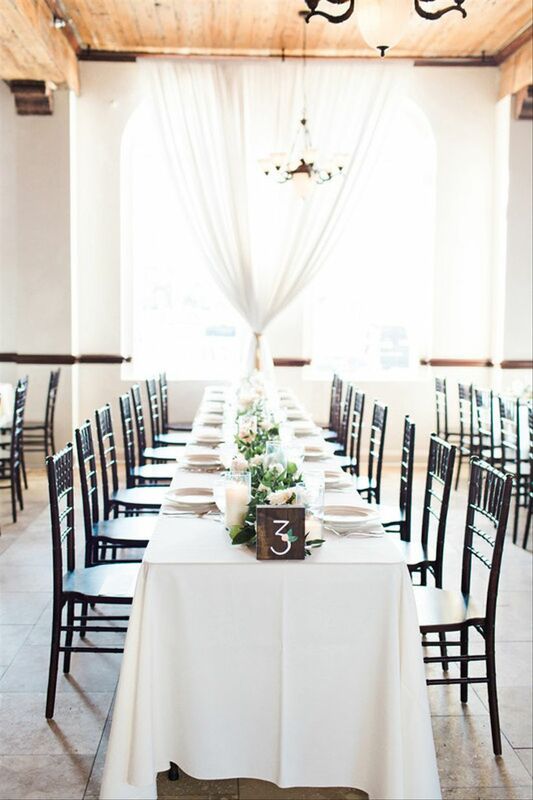 For a much larger rehearsal dinner, you can even rent out the entire facility. If you’re looking for a glam venue that overlooks the ocean, then Casa Marina is the ideal spot to host your Jacksonville rehearsal dinner. Filled with Spanish-Influenced decor, like tile flooring and stucco walls, this historic hotel offers up several different event spaces. 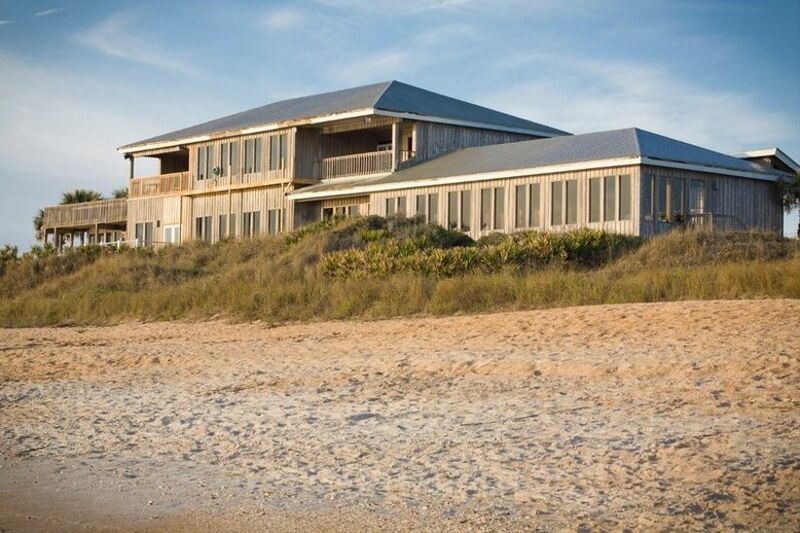 (It even tops our list of the best beach wedding venues in Jacksonville, Florida, too!) 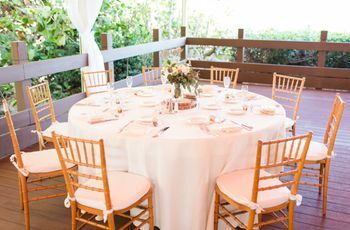 Whether you’re wanting a cocktail-style event out on the hotel’s beachfront courtyard or prefer an intimate rehearsal dinner in the private dining room, Casa Marina creates a beautiful setting for any wedding festivity or other special event. 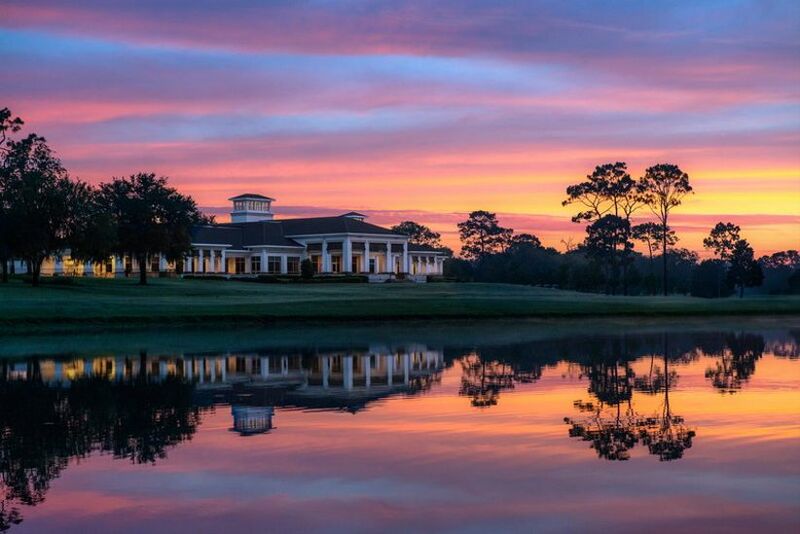 A classic choice for a rehearsal dinner in Jacksonville, Florida, Deerwood Country Club is a popular Jacksonville wedding venue that offers up multiple spaces to host a rehearsal dinner. From the elegant Deerwood Room, the cozy Palm Room or one of the Lakeview Rooms, this private club easily creates an intimate setting for a celebration. The Deerwood Country Club’s full service professional staff will work with you on customizing menus, setting up tables and any other services to ensure your event is everything you’ve envisioned. Calling all beach lovers! The Reef is an oceanfront Jacksonville wedding venue that’s also fitting for a laid-back rehearsal dinner. Located in St. Augustine just an hour from Jacksonville, this restaurant creates a cozy beach setting with its cedar paneling and outdoor patio. 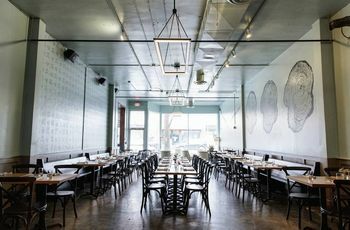 In addition to those beachy details, the restaurant also offers a private banquet room (which can easily sit up to 75 guests) and includes a coordinator to assist in all that nitty gritty rehearsal dinner planning. The Reef also has flexible dining options—so if you’re looking for a buffet-style dinner, then this coastal restaurant is the perfect choice! 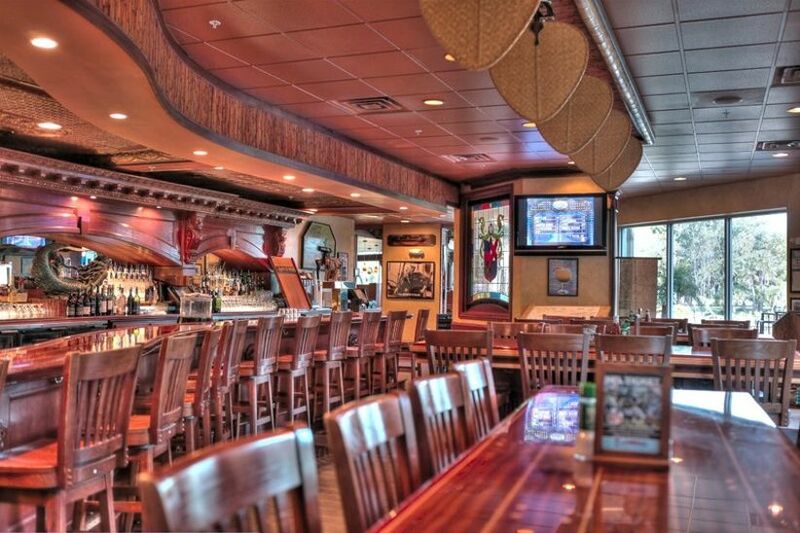 Pusser’s Bar and Grille is another restaurant venue that is great for hosting casual parties or special events. Situated about fifteen minutes from Jacksonville in Ponte Vedra Beach, Pusser’s can easily accommodate parties from 20 to 200 in its Caribbean-inspired locale. From their tropical dishes and drinks—like their infamous Pusser’s Painkiller—to their fabulous lakefront location, Pusser’s doesn’t disappoint when it comes to creating a unique and fun setting for a Florida rehearsal dinner. 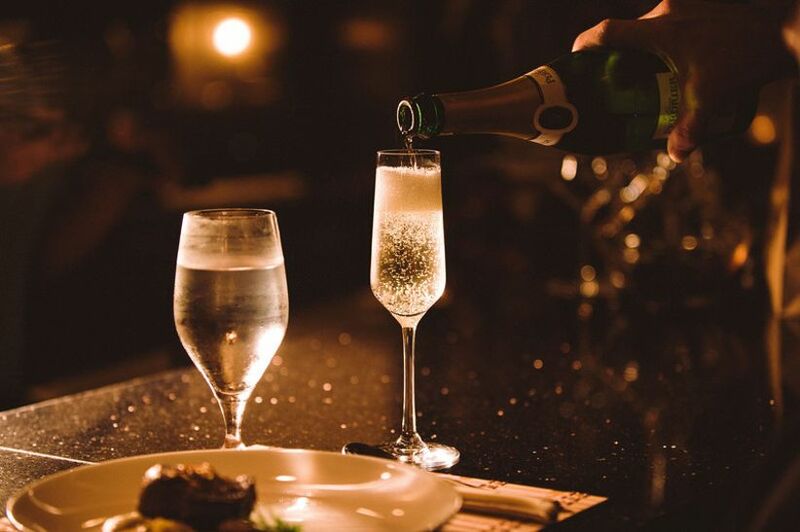 Whether you’re hoping to have an intimate dinner with just the wedding party or a 100-person event, Pusser’s is a fan favorite in the Jacksonville area. The Tree Steakhouse is located right on San Jose Boulevard in Jacksonville and is a great place for hosting wedding events. They have two rooms to choose from, The Cypress Room (which can seat up to 50 guests) and The Audubon Room (which can hold up to 24 guests), both of which provide guests with killer menu selections. 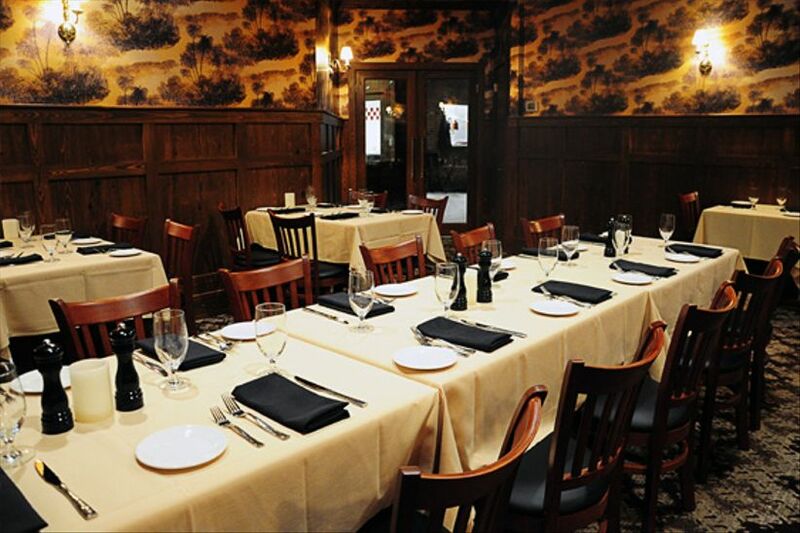 Each private dining room creates a cozy atmosphere that’s ideal for a more intimate dinner. (Definitely a plus if you have a lot of family members who don’t know each other, yet!) Along with providing a cozy dining experience, the restaurant also has an experienced staff that will take care of all the necessities and details, such as linens and more. For a unique dining experience where everyone can get to know one another a bit better before the big day, then The Tree Steakhouse is a must-see.